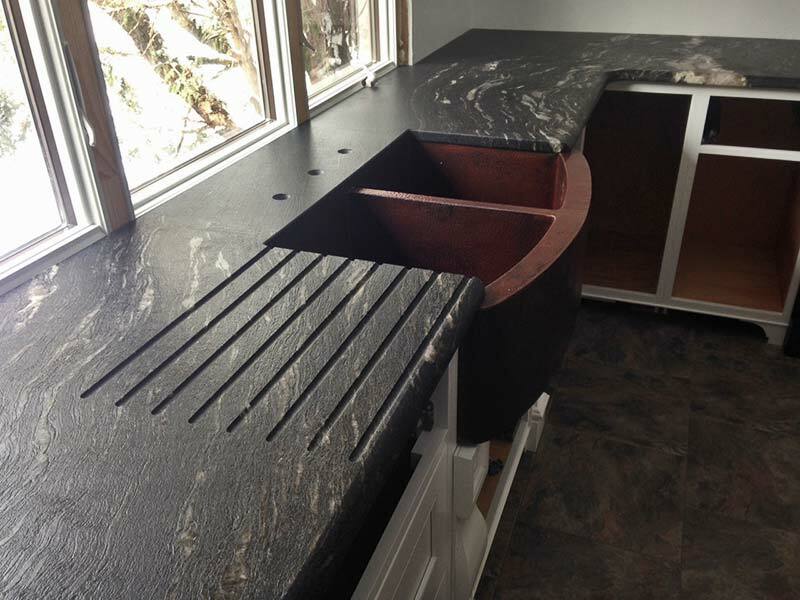 Black Cosmic Granite counter with bar sink. 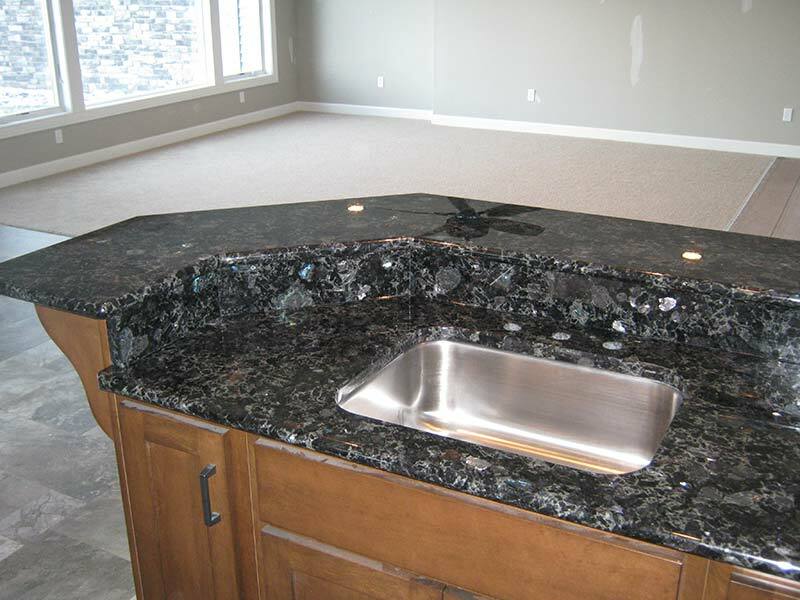 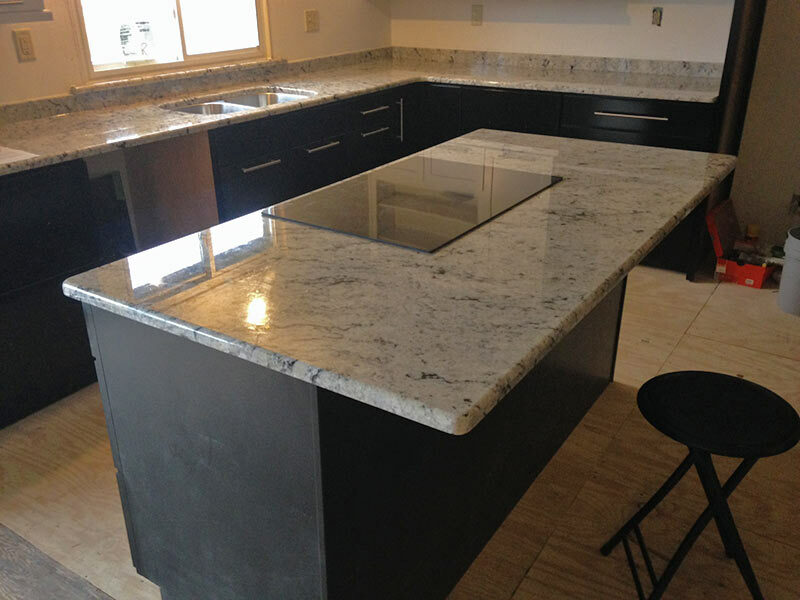 Black Marinace Granite counter top on mini counter. 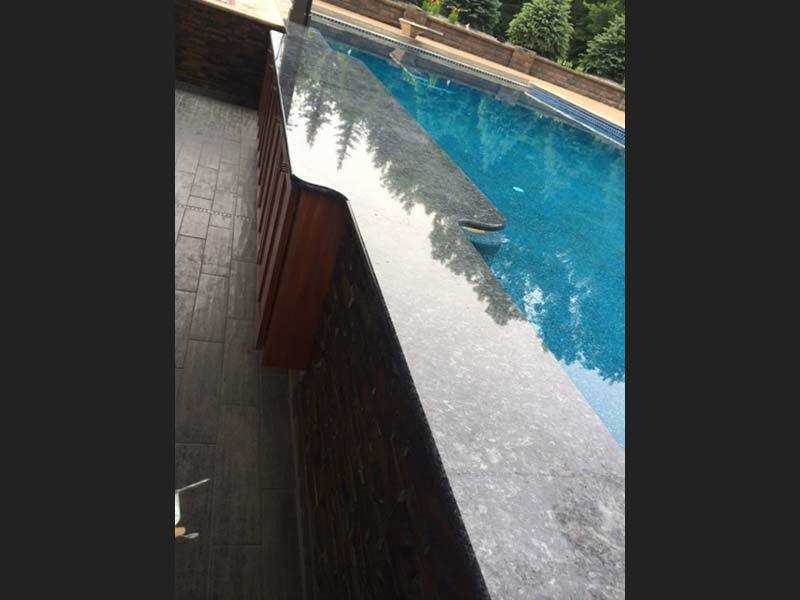 Blue Pearl Granite swim up bar top. 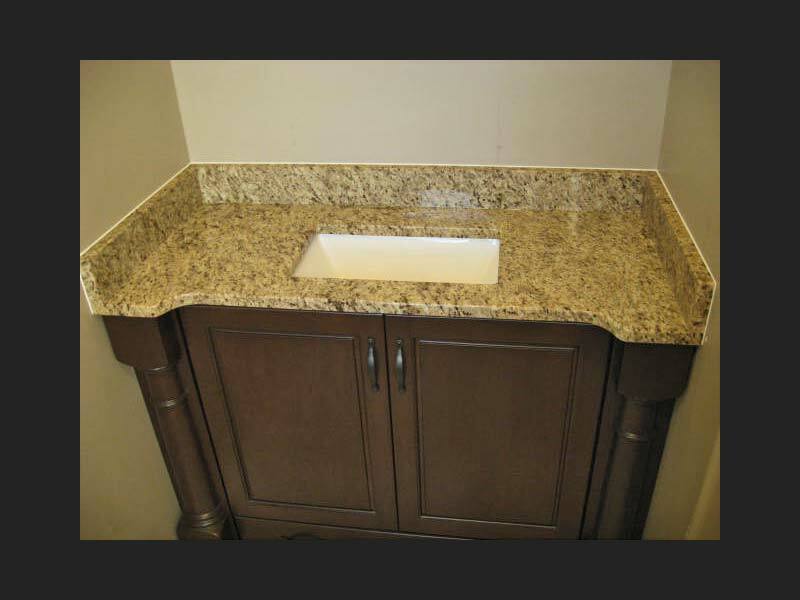 Giallo Ornamental Granite bathroom counter over a dark wood vanity with a square sink. 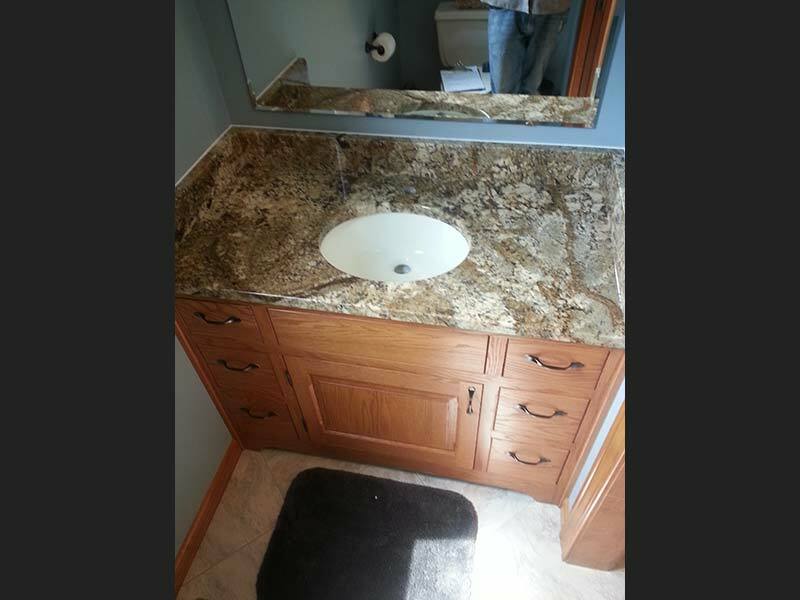 Giallo Ornamental bathroom counter a with center bump out. 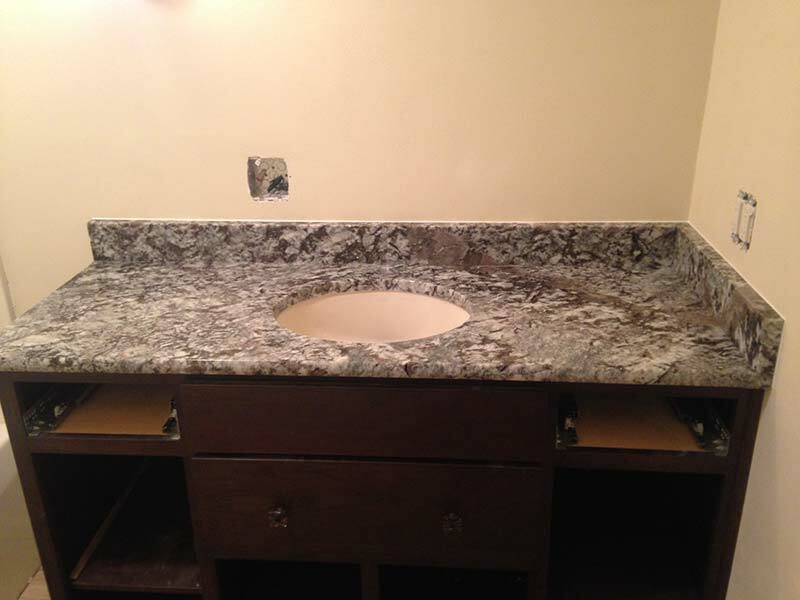 Emerald Pearl bathroom counter with square sink over antique looking bathroom vanity. 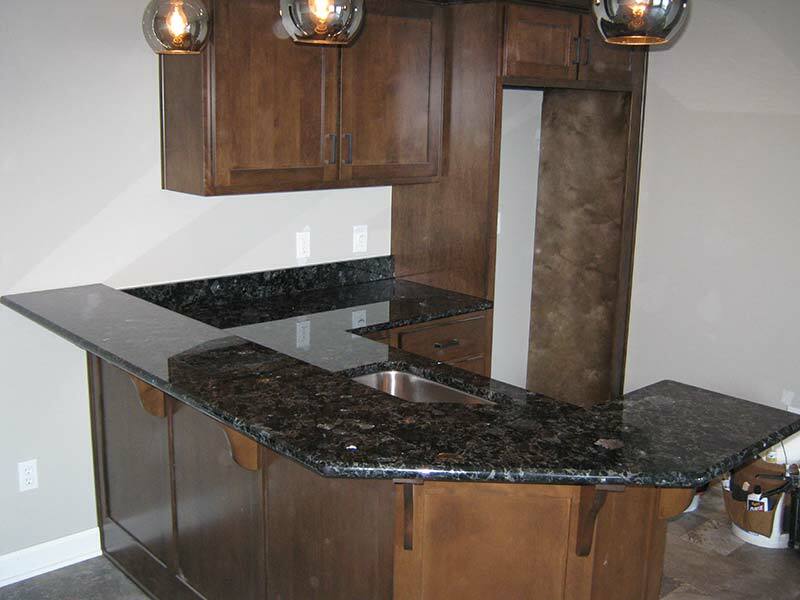 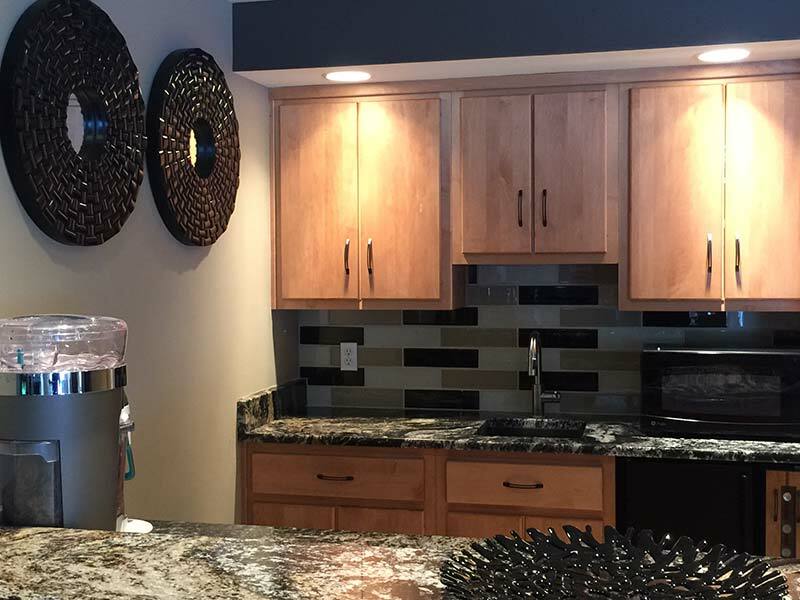 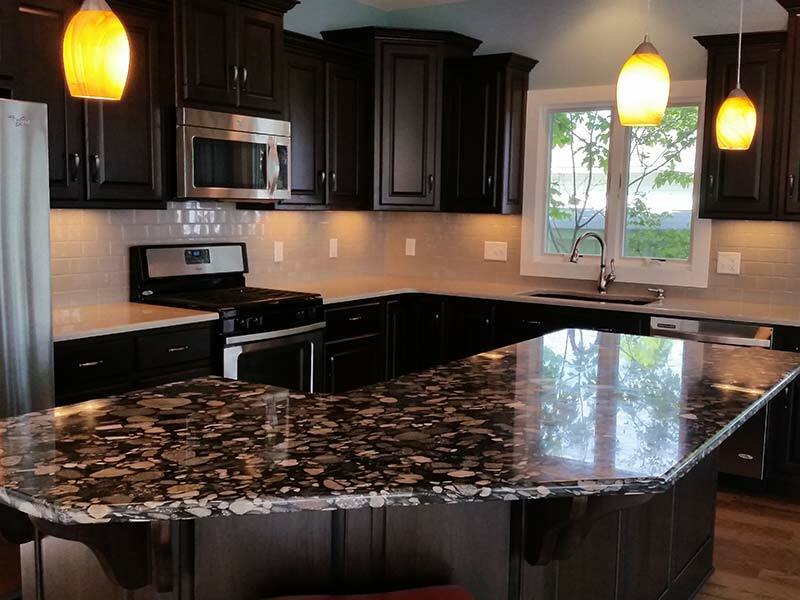 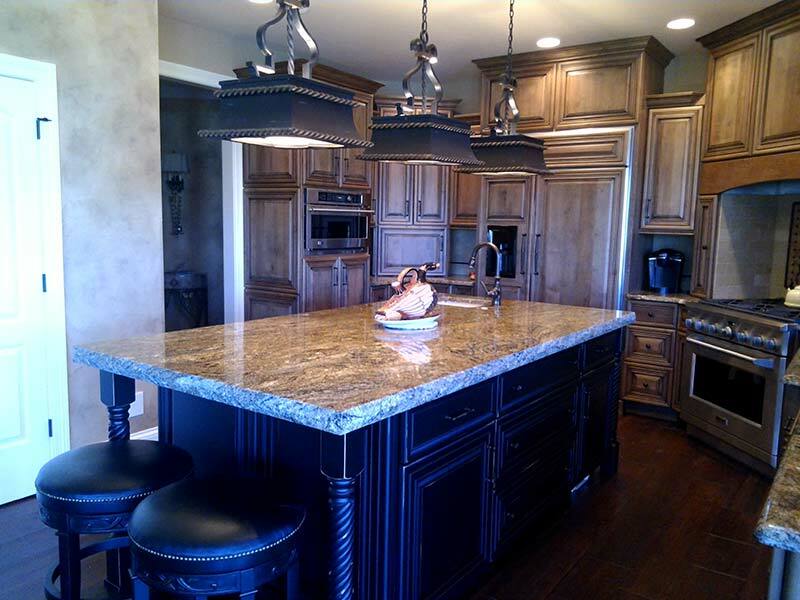 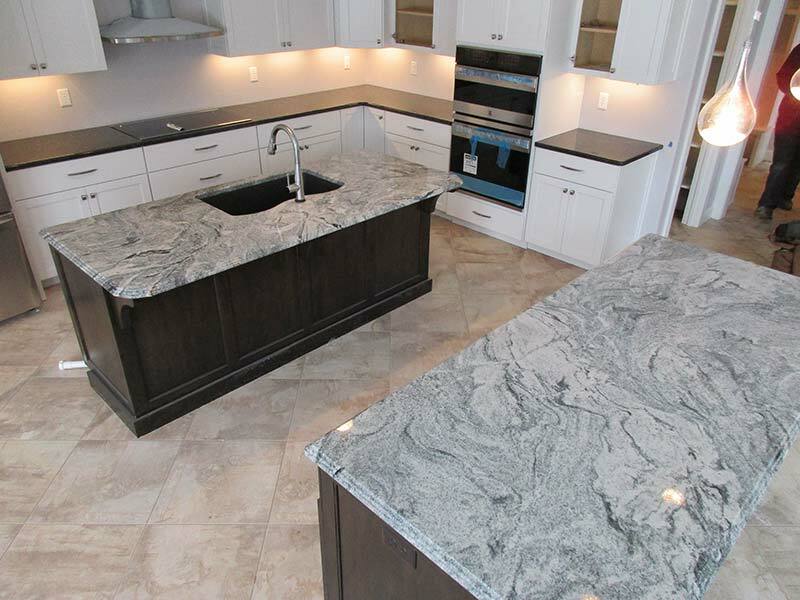 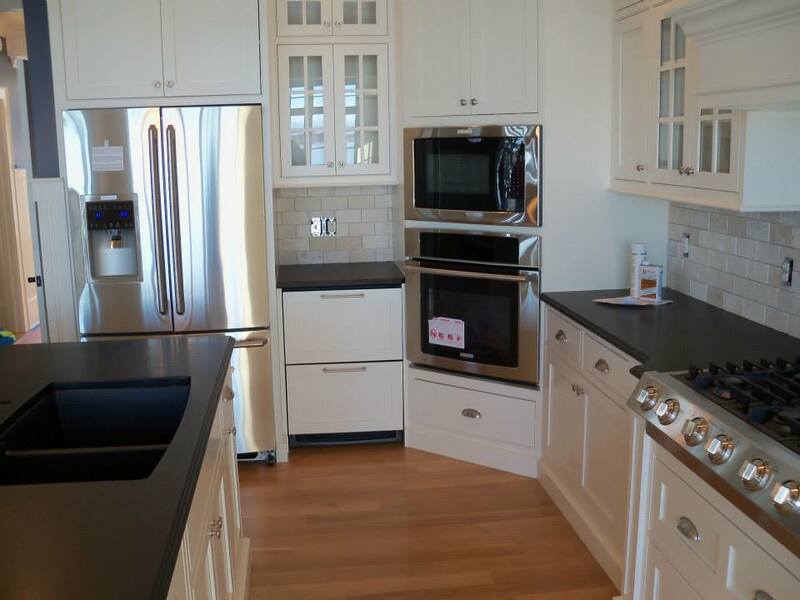 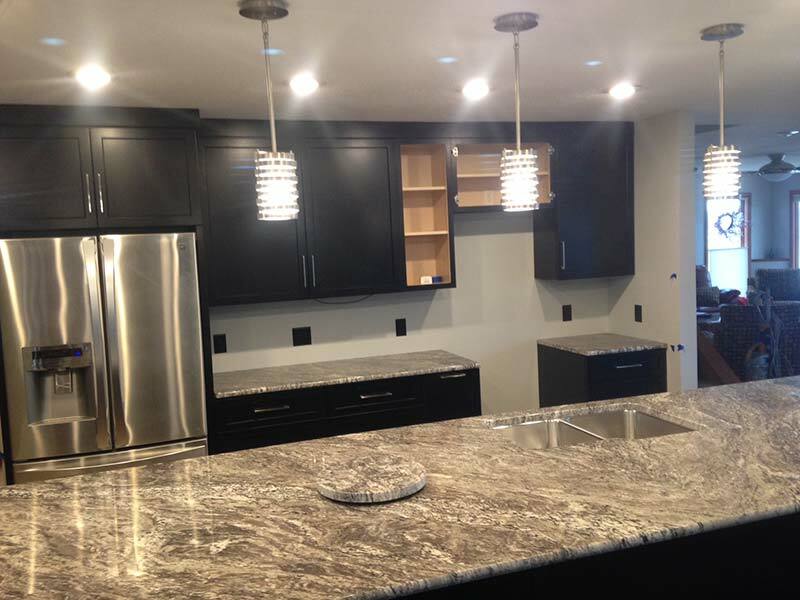 All the colors of Diamond Wave Granite surrounded by dark earth tone walls and medium wood cabinets. 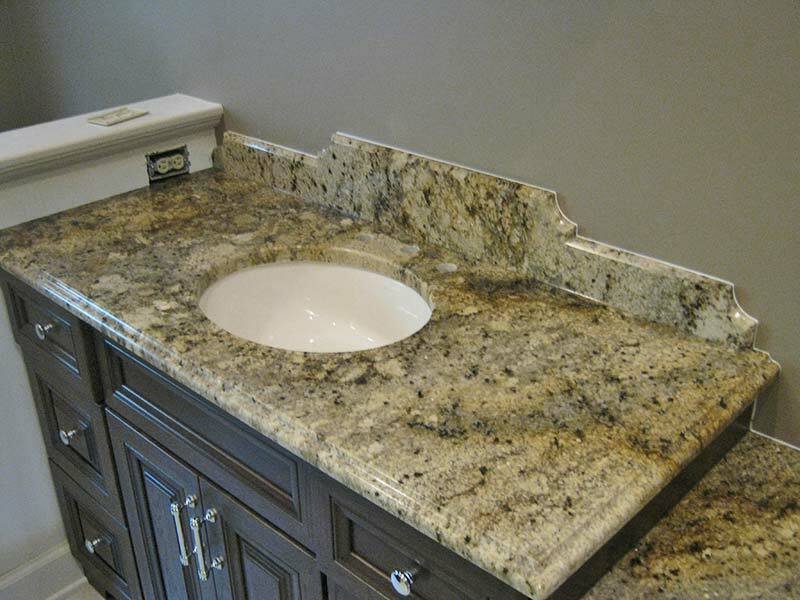 Diamond Wave Granite bathroom counter in a light earth tone bathroom. 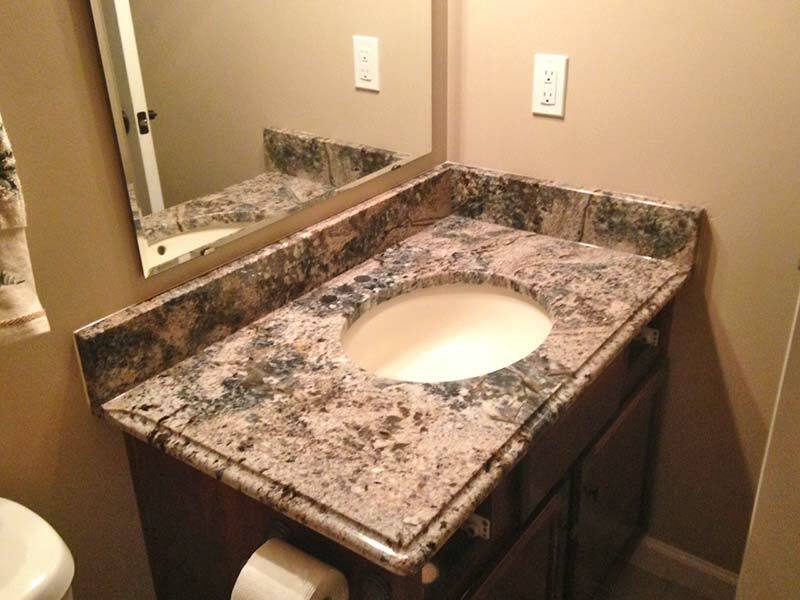 The length of this bathroom counter shows off Diamond Wave Granite's spectacular colors. 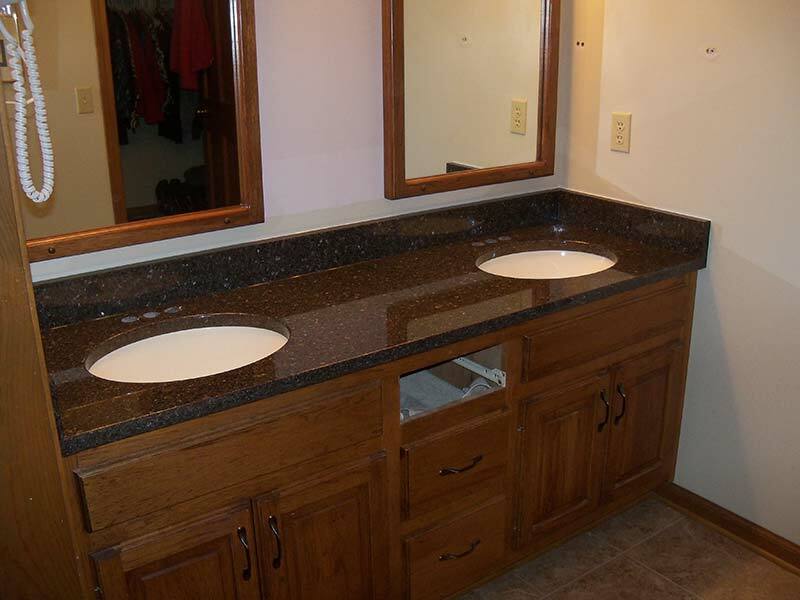 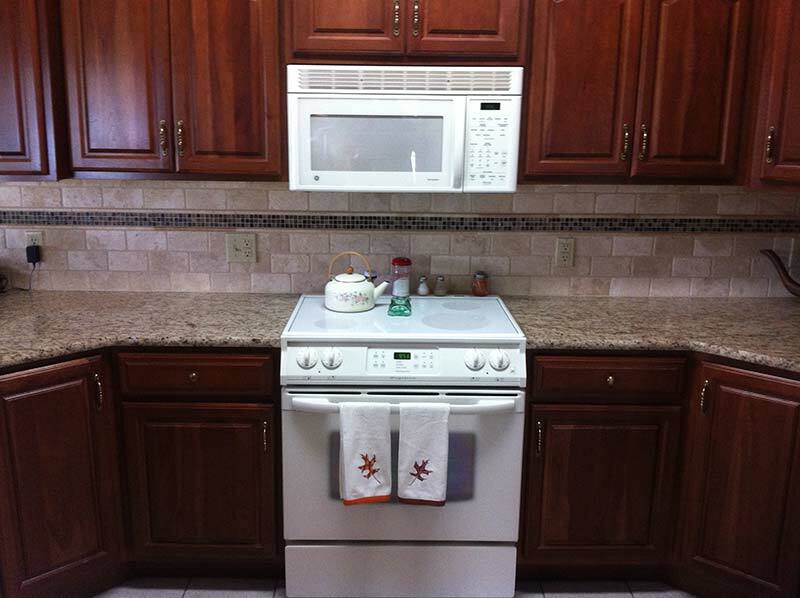 Diamond Wave bathroom counter pairs nicely with both plums and medium wood cabinets. 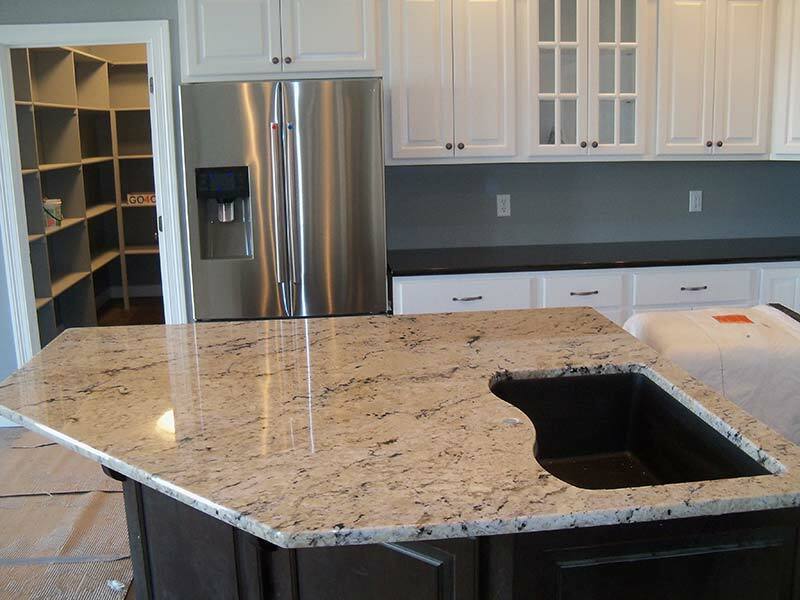 A Delicatus Granite counter takes center stage in this bar! 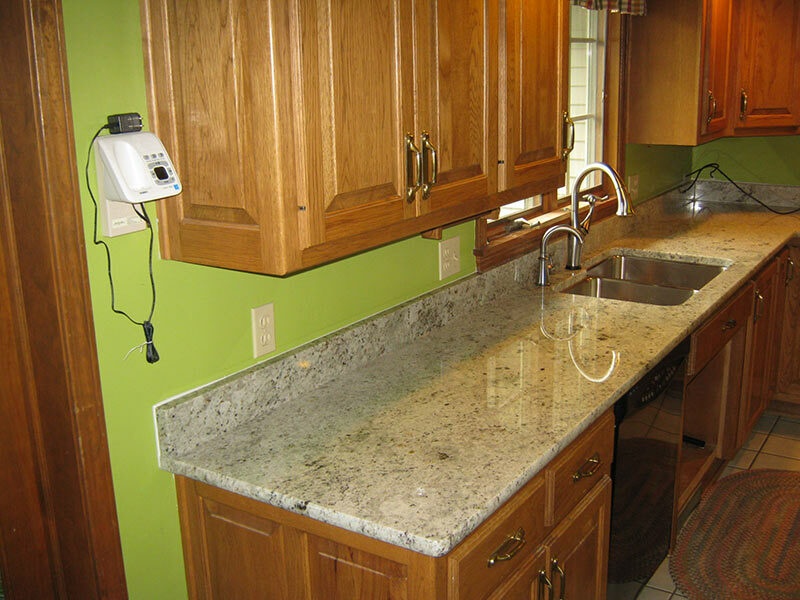 Diamond Wave Granite counter in the Utility Room. 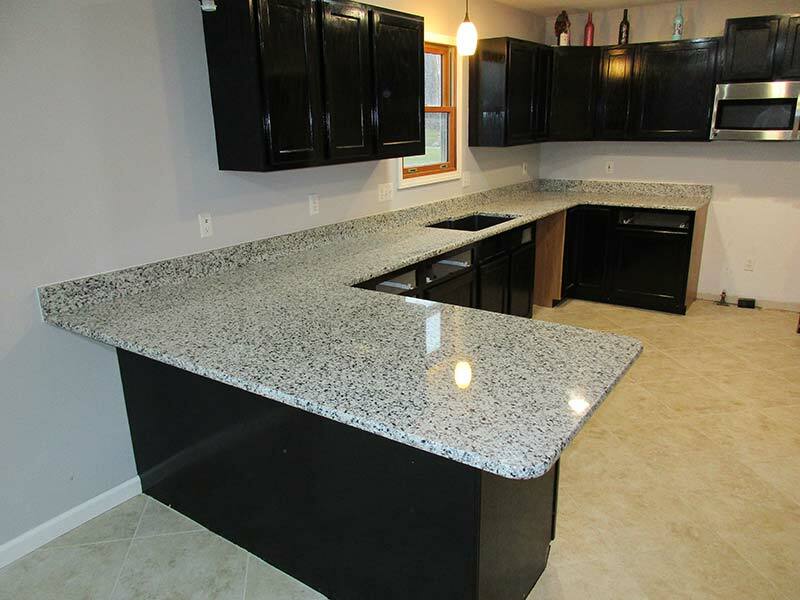 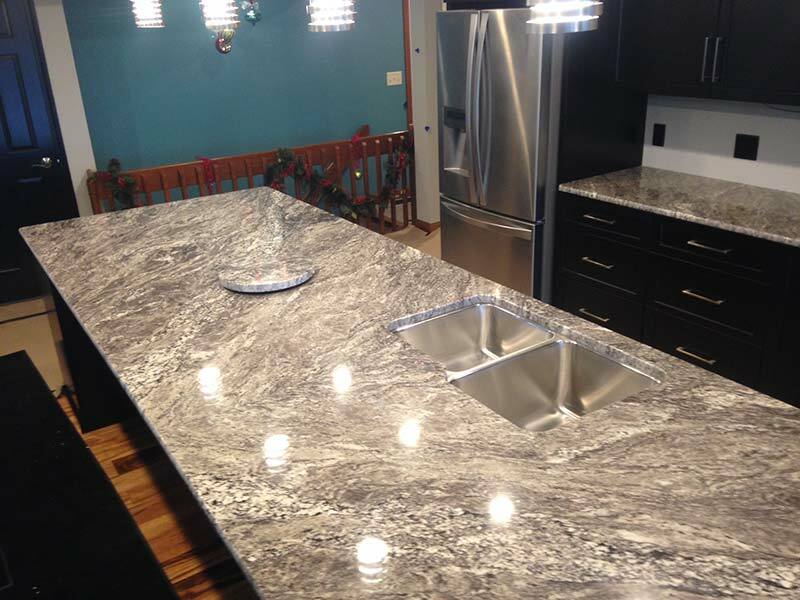 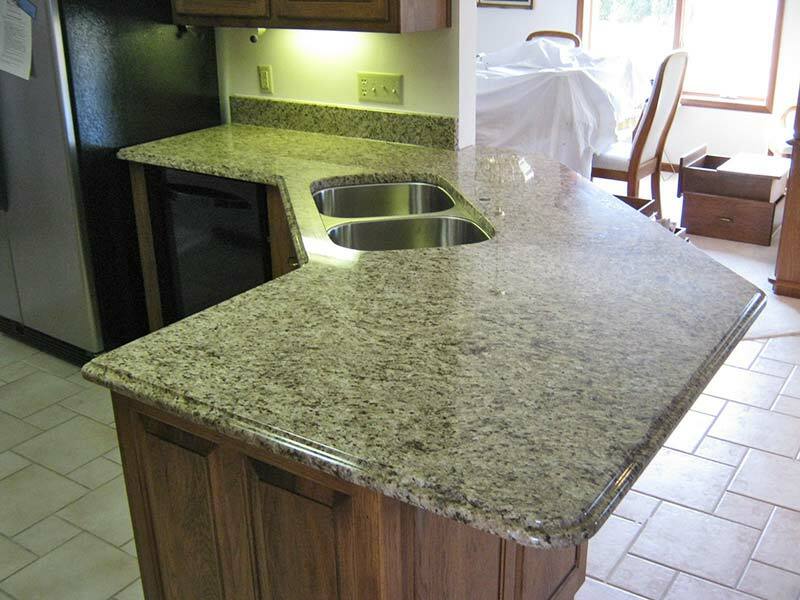 Uba Tuba Granite counter with double sinks shines agains medium-dark wood toned cabinets. 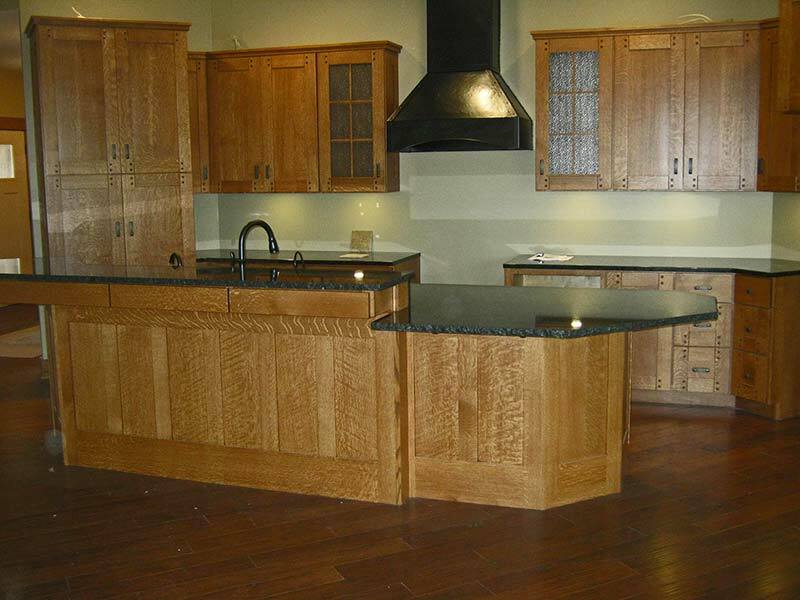 The movement and varied colors of Typhoon Lagoon are displayed nicely against older distressed looking cabinets. 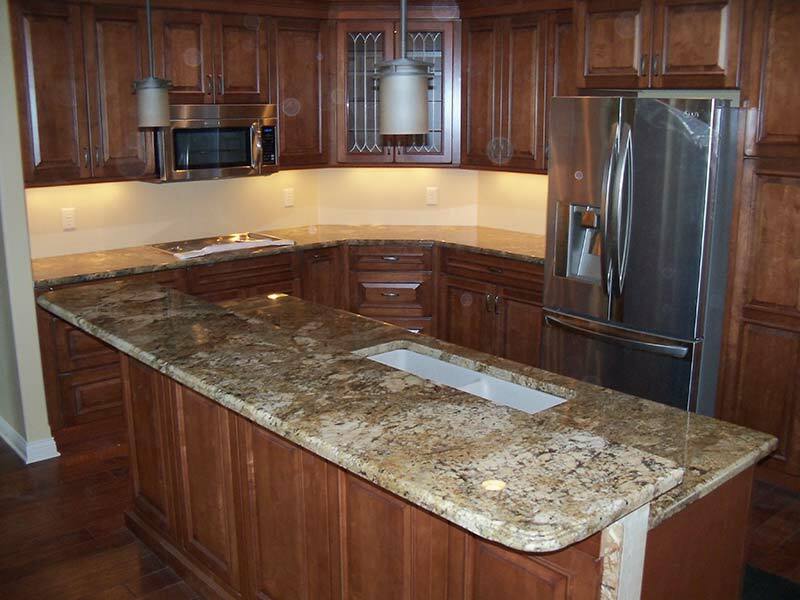 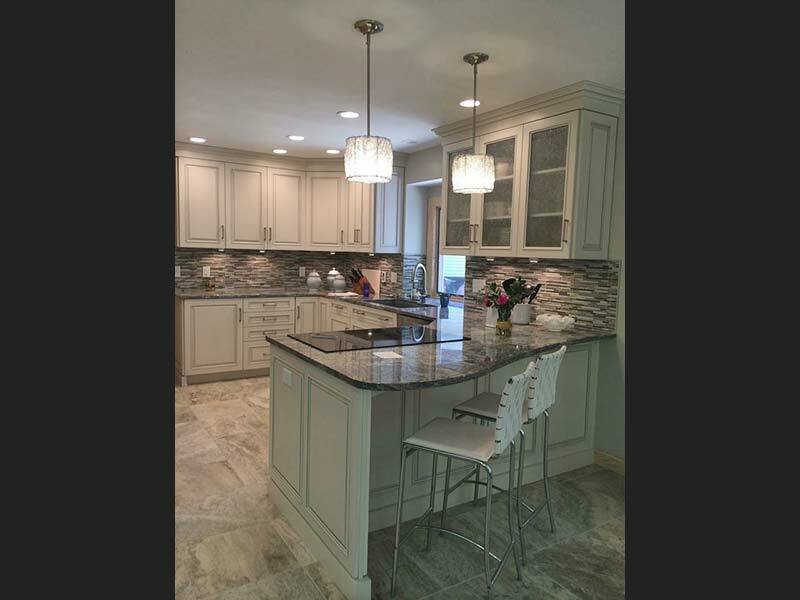 The earthtone shades of Spring Beige Granite really pop over the dark brown cabinets. 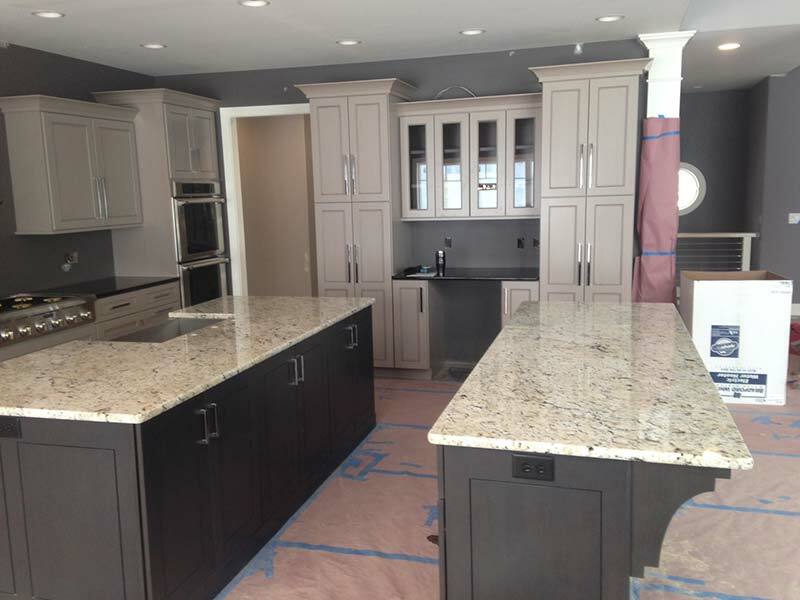 The earthtone shades of Spring Beige Granite become the dark contrast in this light tan bathroom with off white cabinets. 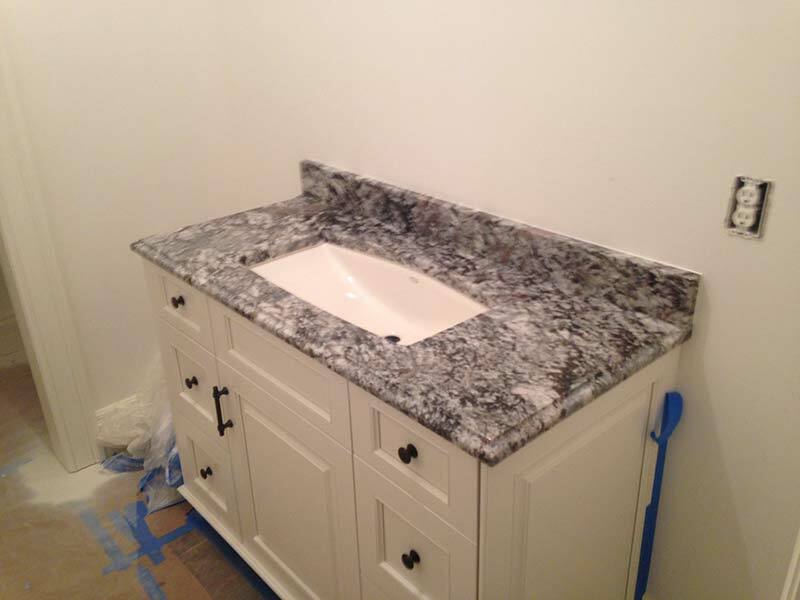 This San Luiz Granite bathroom counter with the white contrasting double sinks coordinates well with reddish toned wood cabinets. 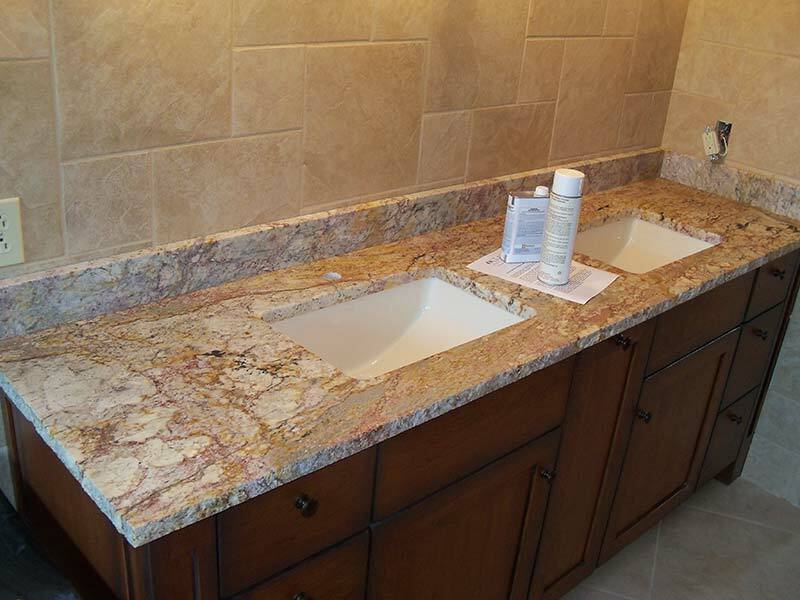 The amazing colors and movement in this San Luiz Granite bathroom counter really shows off the beauty of this stone. 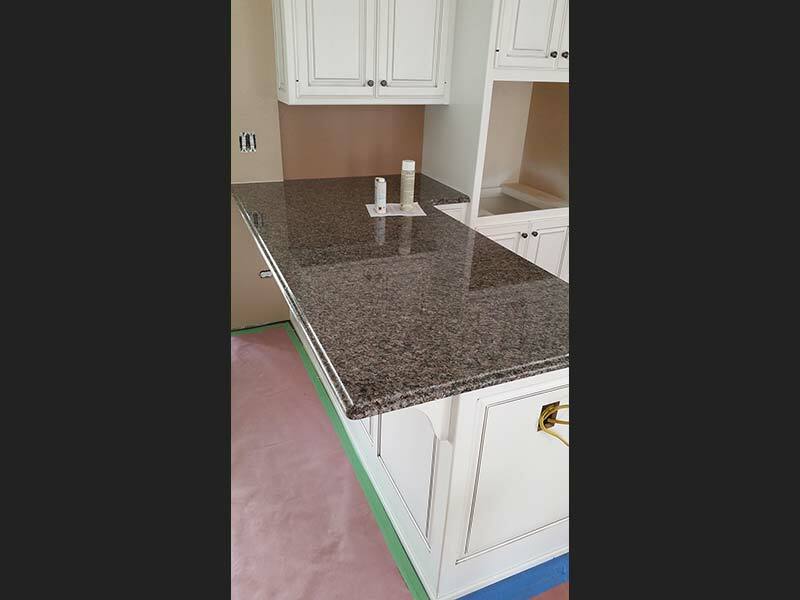 Red Marinace Granite bathroom counter with contrasting white sink sitting over a dark reddish-brown vanity. 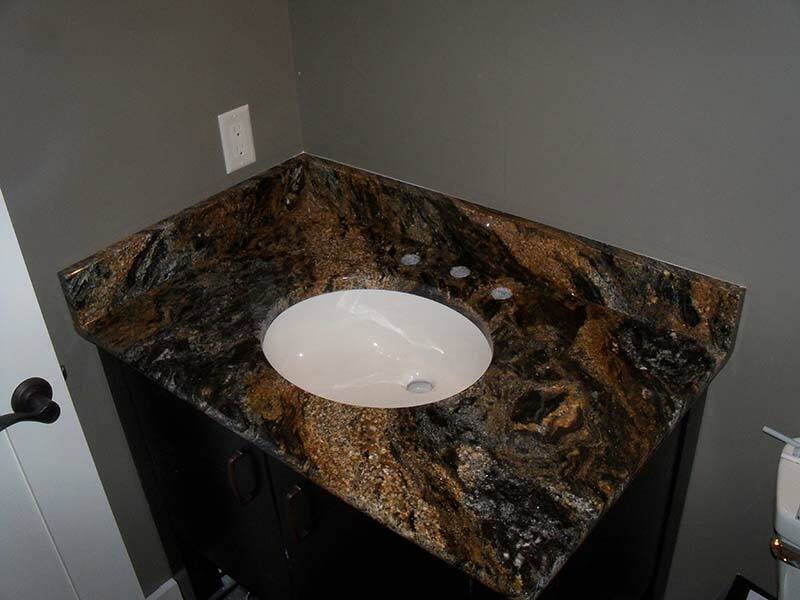 This bathroom counter of Magma Granite shows the high contrast colors of gold, dark grey, off white, and black. 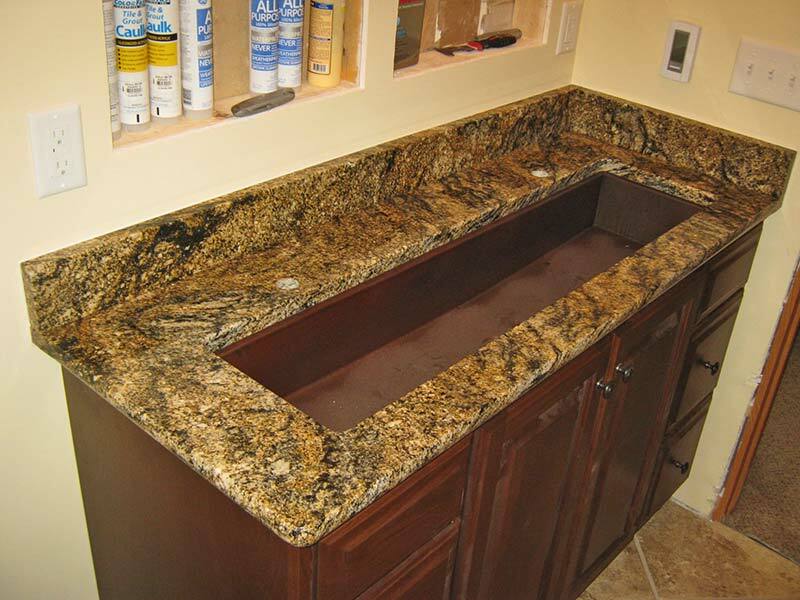 This Lennon Granite bathroom counter ties together the light walls and high contrast dark brown bathroom vanity. 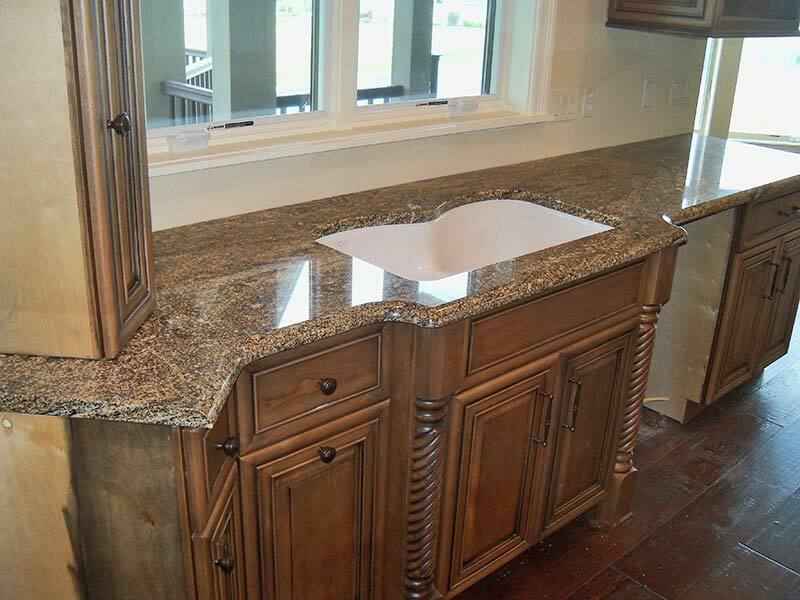 This Lennon Granite bathroom counter will sport a vessel sink over the dark brown vanity. 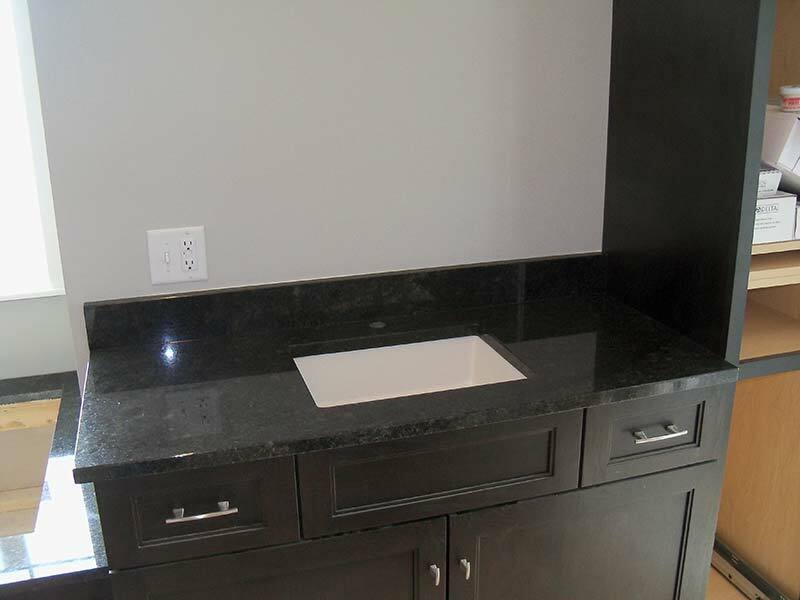 This Lennon Granite bathroom counter provides some dark contrast in this light colored bathroom. 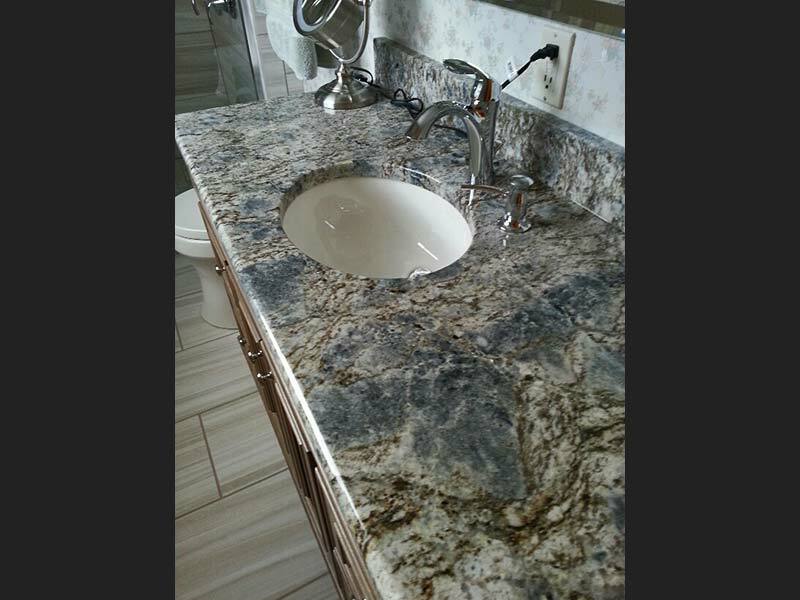 Juperana Persa bathroom counter showing off its versatility in a blue bathroom with medium wood toned cabinets. 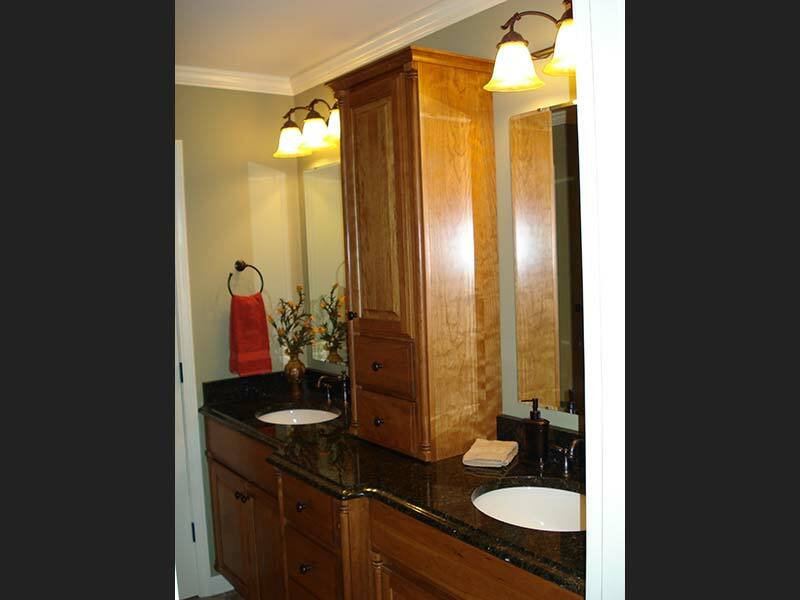 Juperana Persa bathroom counter with double sinks and oiled bronze faucets over light wood cabinets. 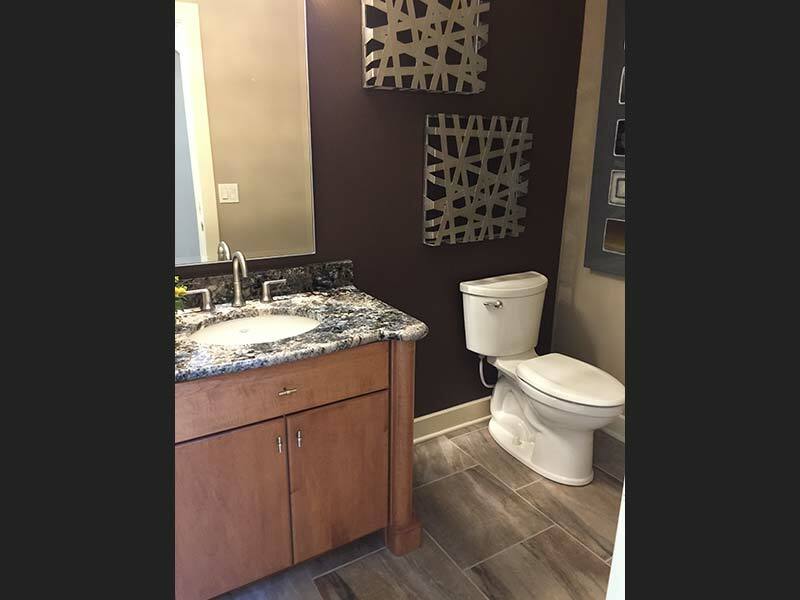 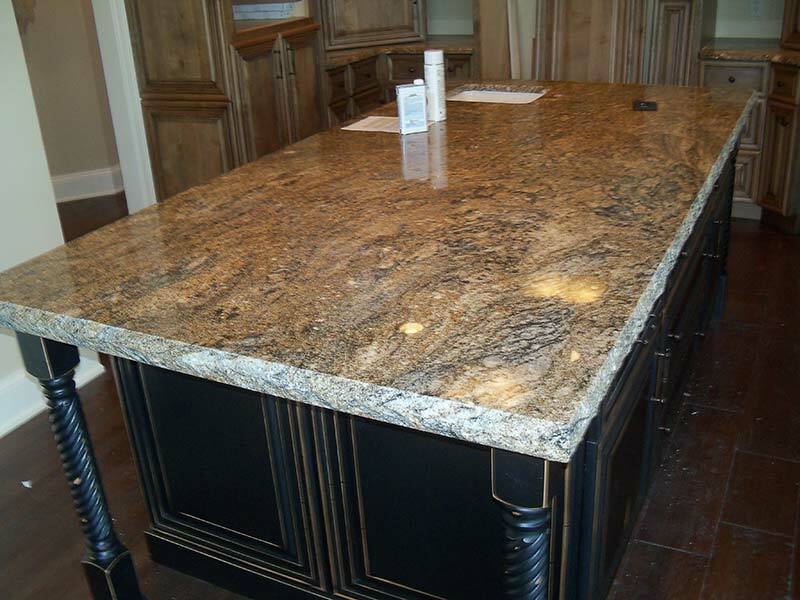 Imperial Coffee (or Brown Pearl) Granite bathroom counter over light wood cabinets against light blue walls. 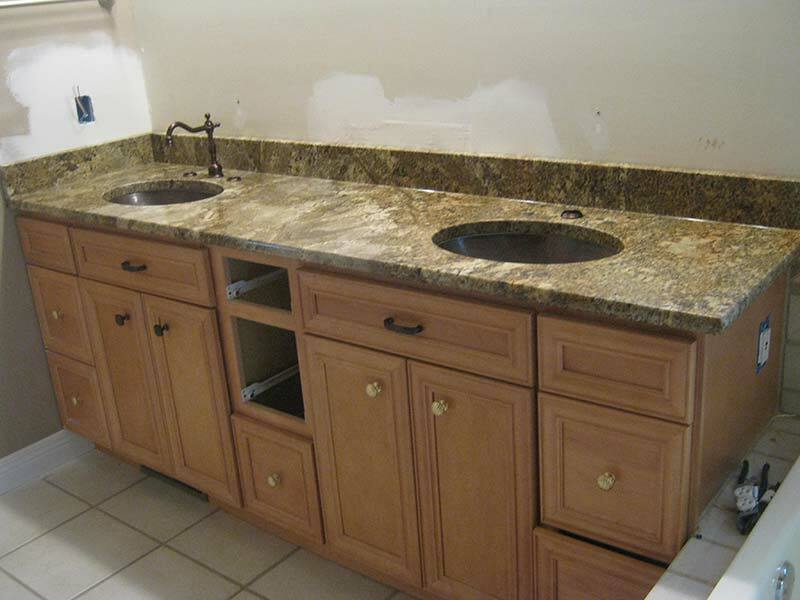 Brown Pearl aka Imperial Coffee bathroom counter with double sinks over medium wood toned cabinets. 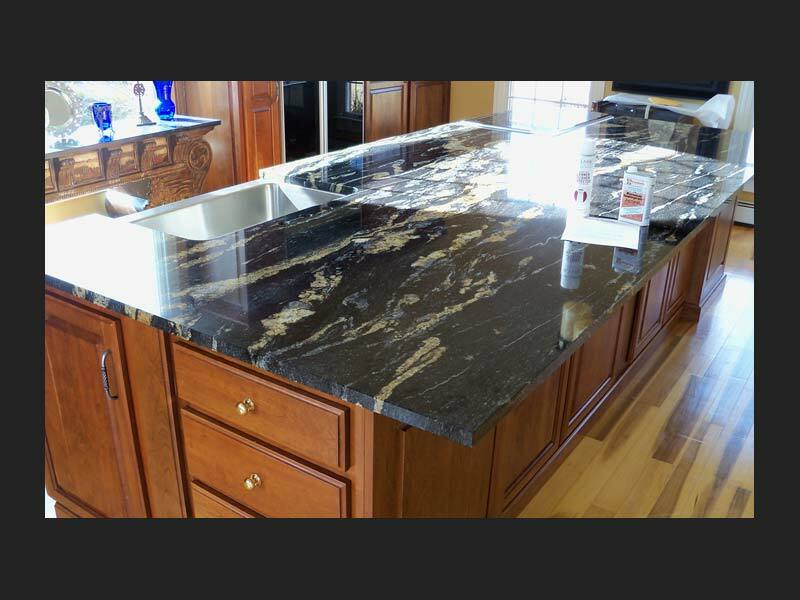 Brown Pearl aka Imperial Coffee Granite bathroom counter with double sinks over medium wood toned cabinets. 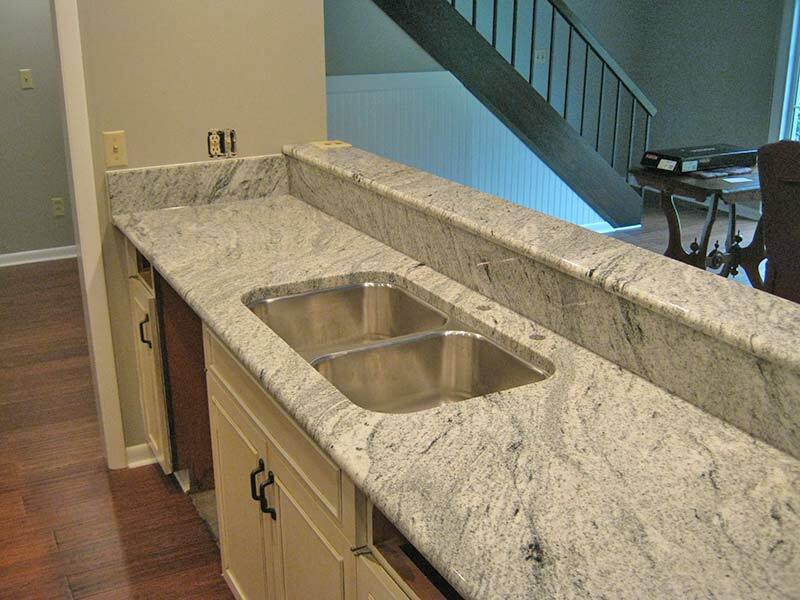 Uba Tuba Granite counter sits atop a white credenza. 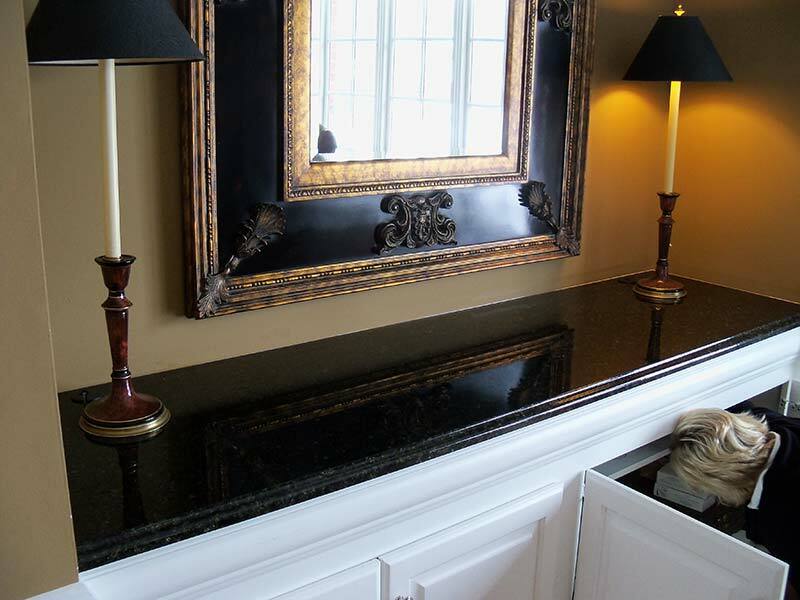 The movement of golds and blacks in this Stormy Night laundry room counter with a brown trough sink makes this project very unique. 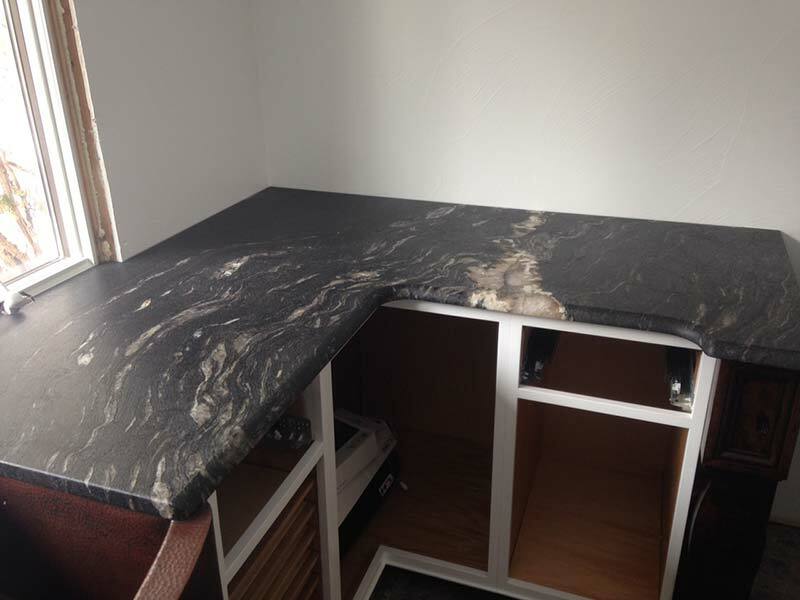 Stormy Night Granite looking more cool over this dark wood office cabinet. 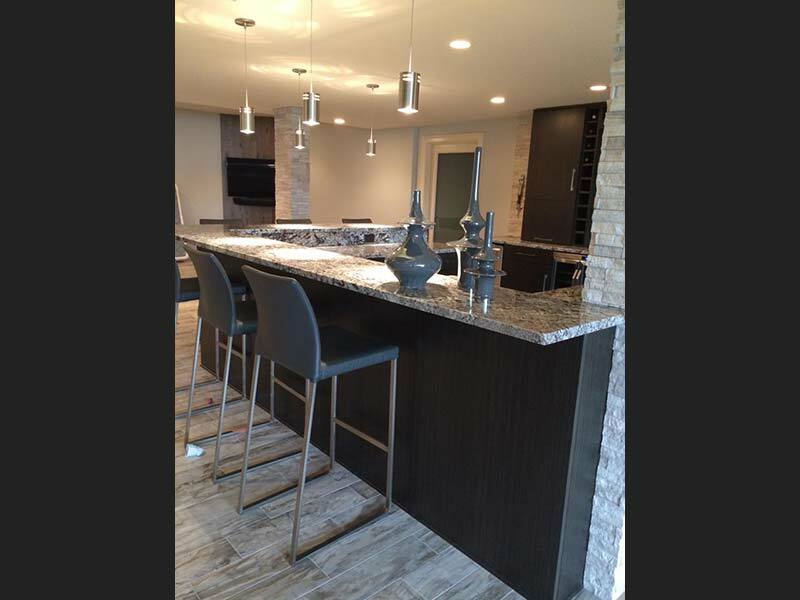 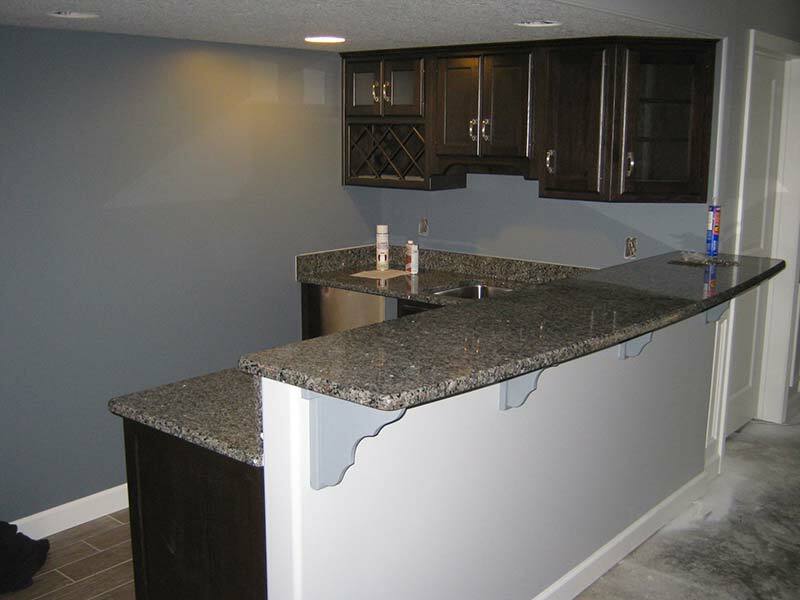 This Spring Beige Granite bar creating a welcoming atmosphere. 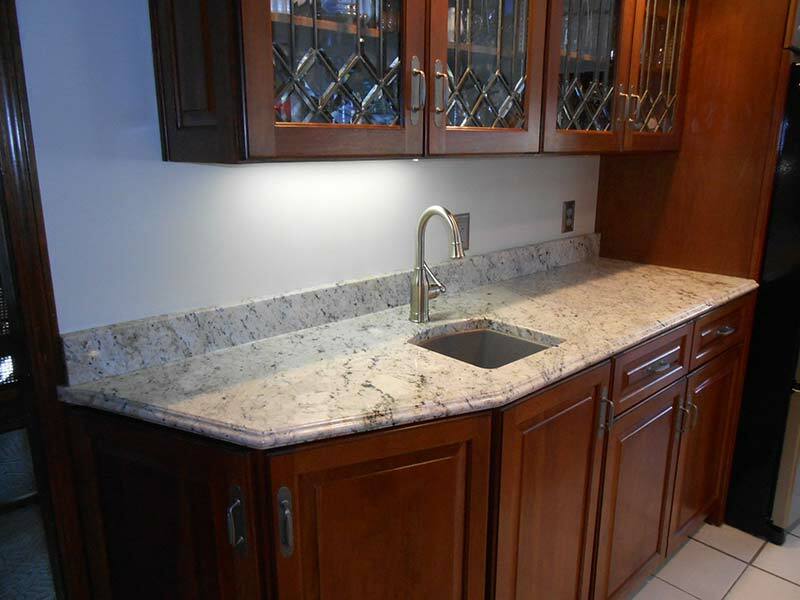 Spring Beige utility room counter featuring an over sized sink. 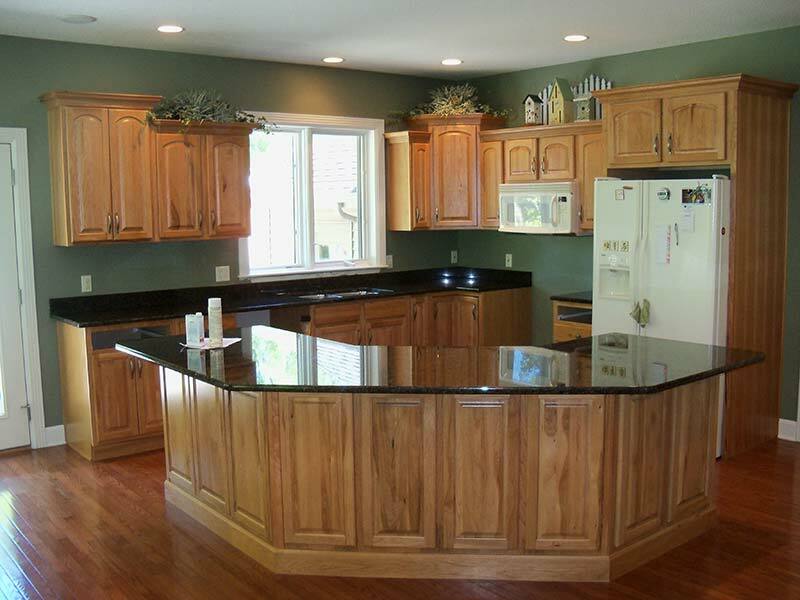 Lennon Granite sideboard cabinet coordinates with the Lennon Granite kitchen counters surrounded by dark wood cabinets. 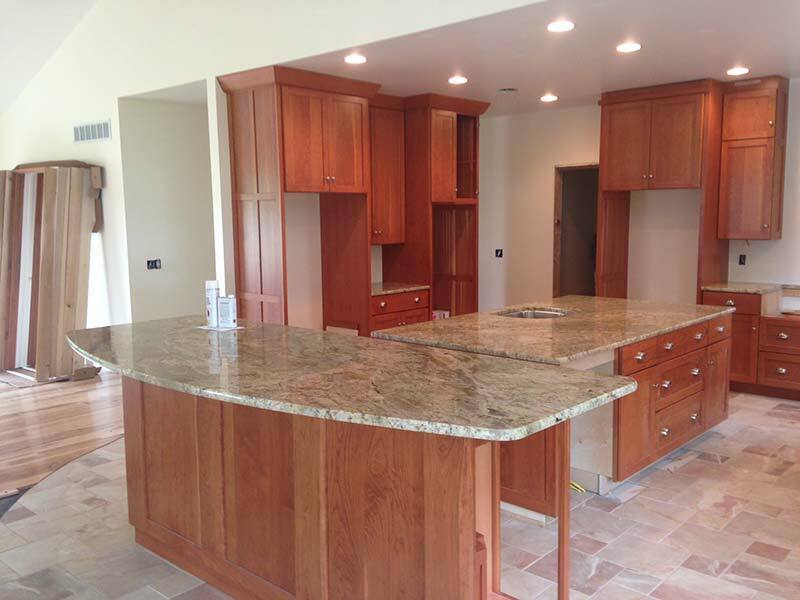 Juperana Gold entry way counter over golden wood toned cabinets. 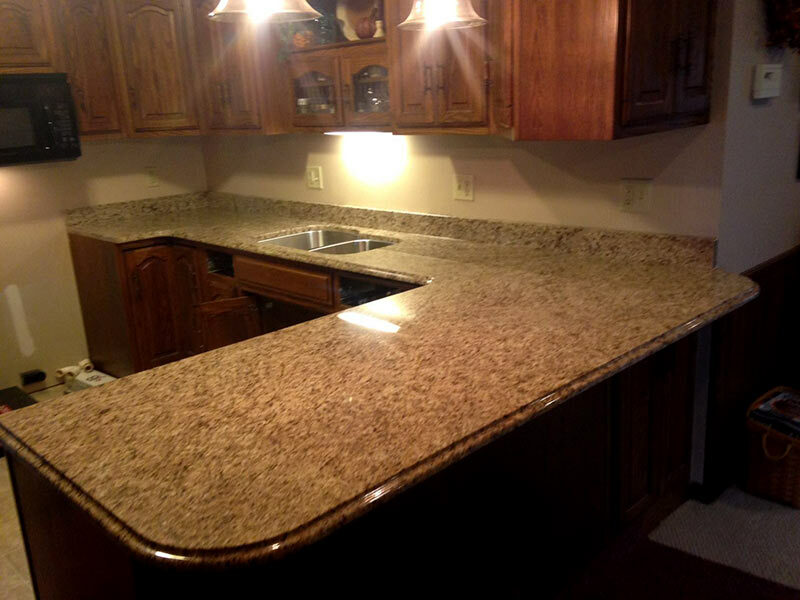 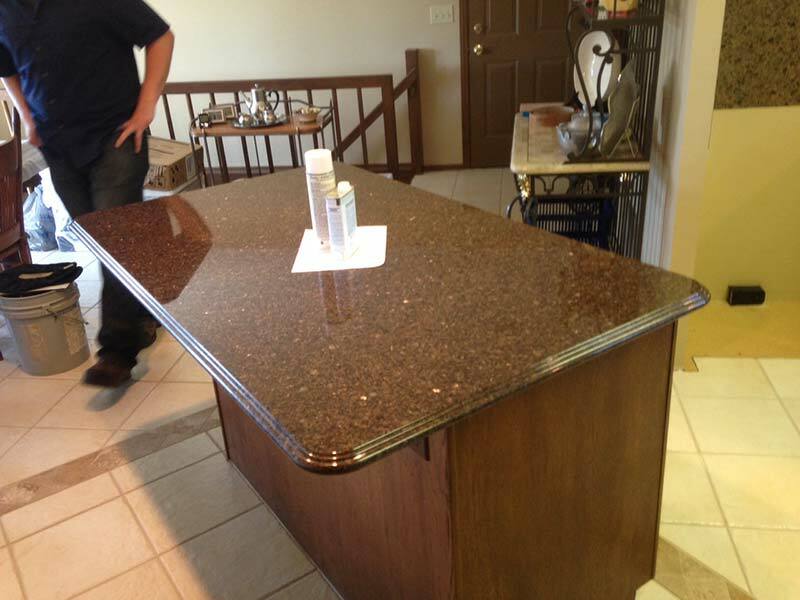 Brown Antique Granite bar counter over white cabinet. 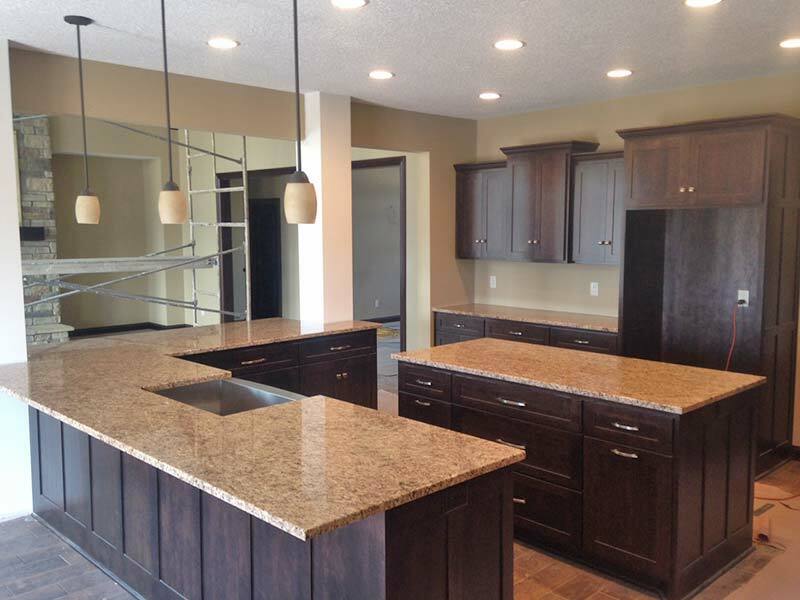 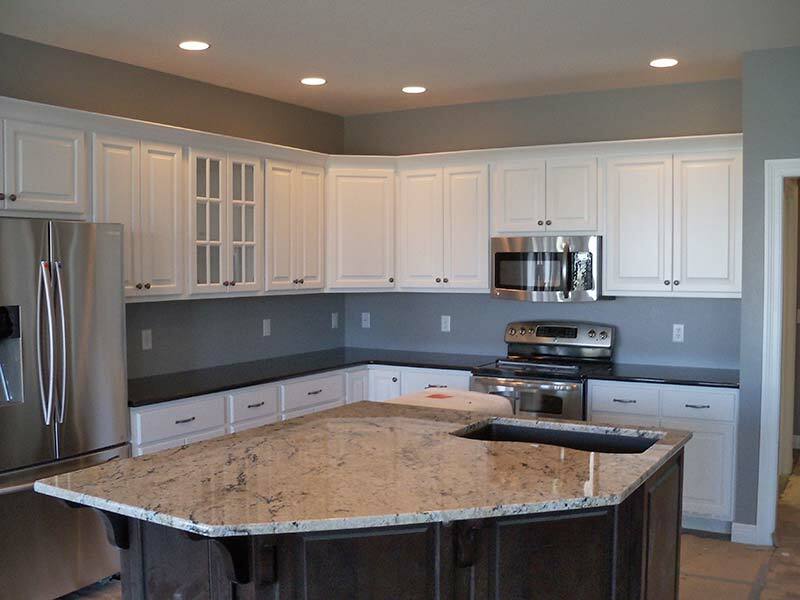 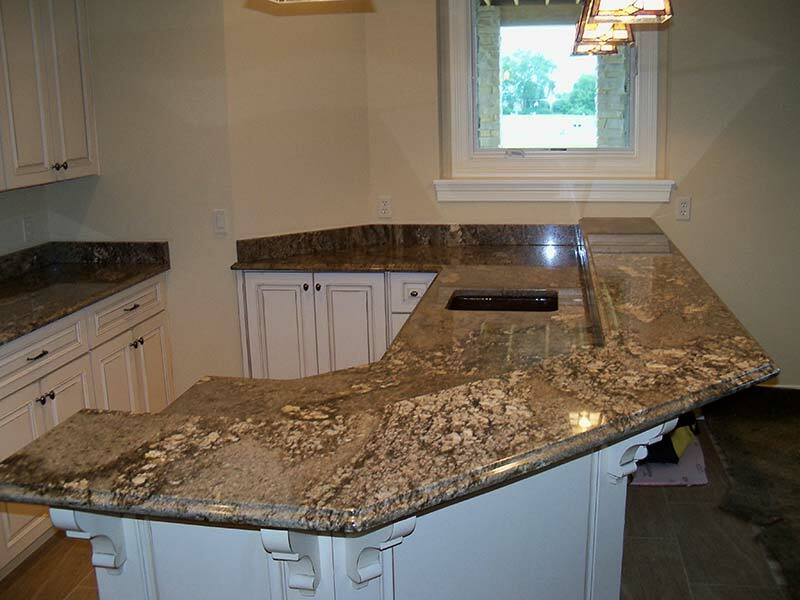 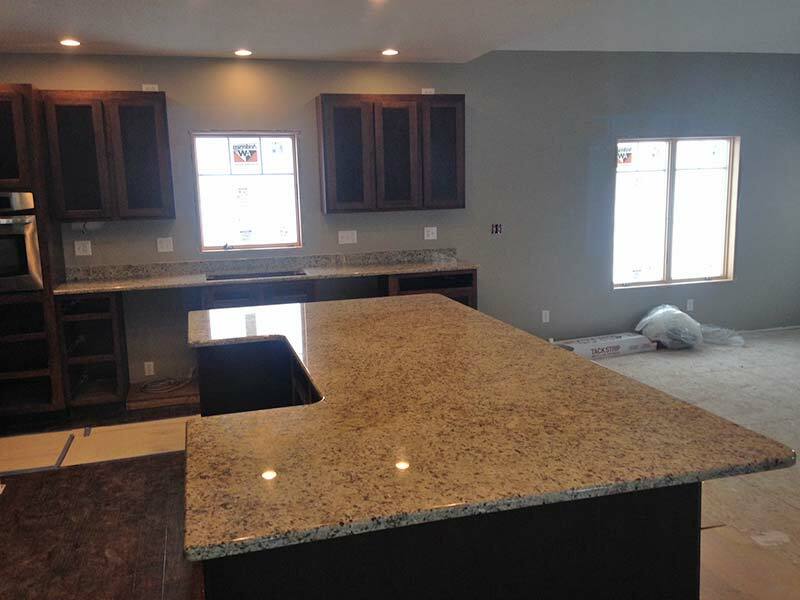 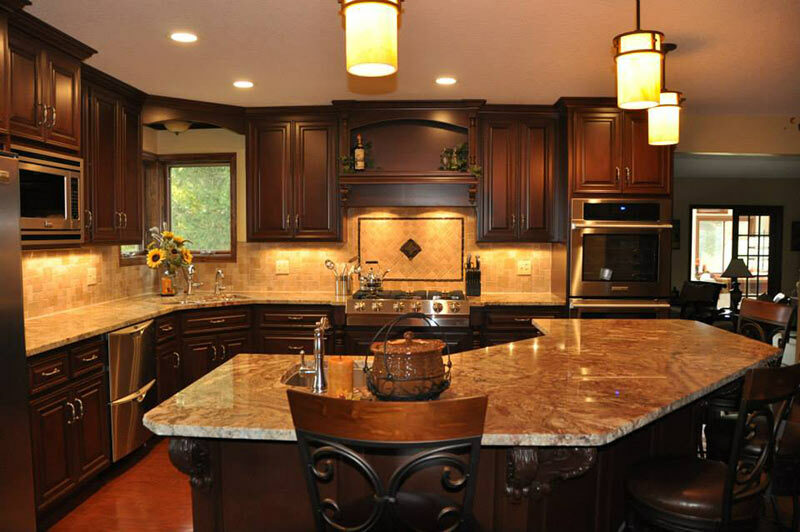 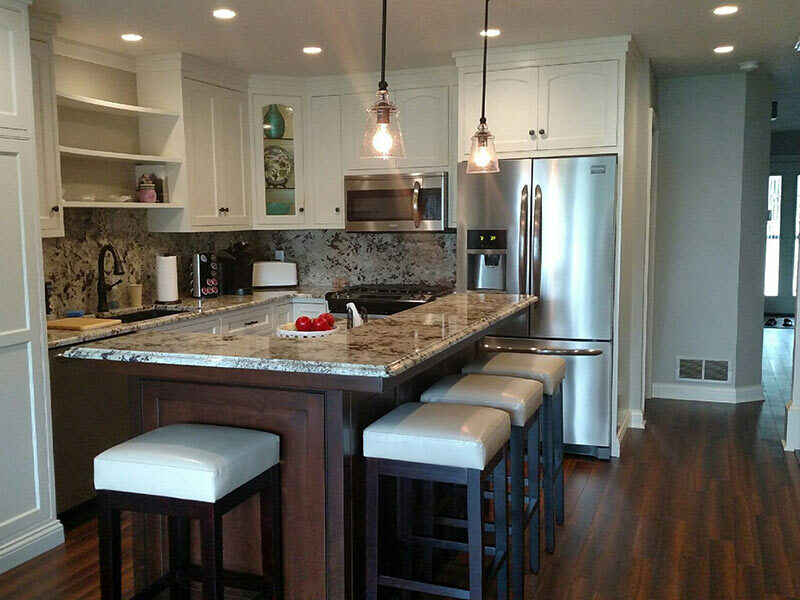 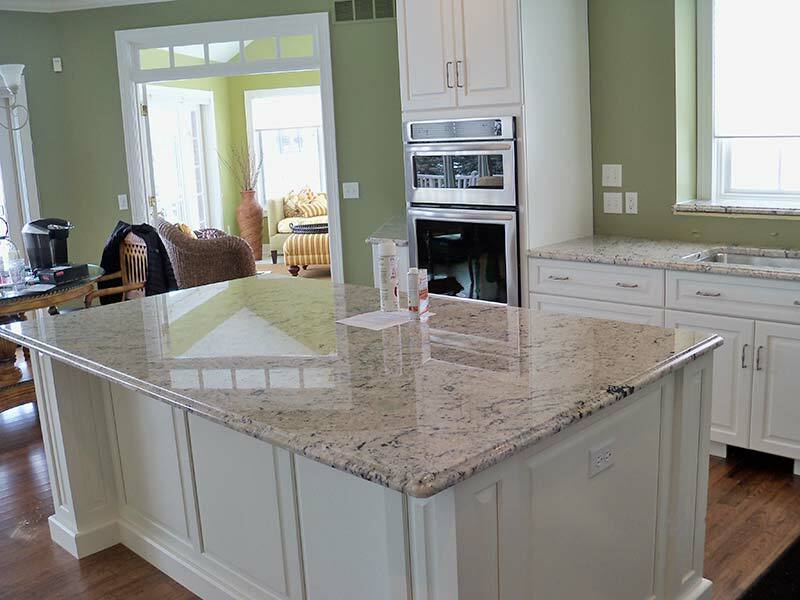 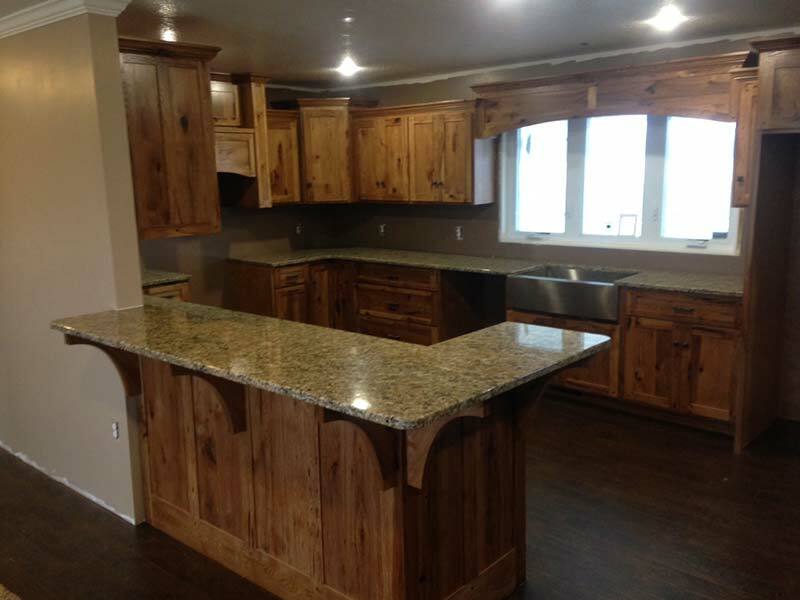 Caledonia Granite counter, wet bar, and sink over brown and white cabinets. 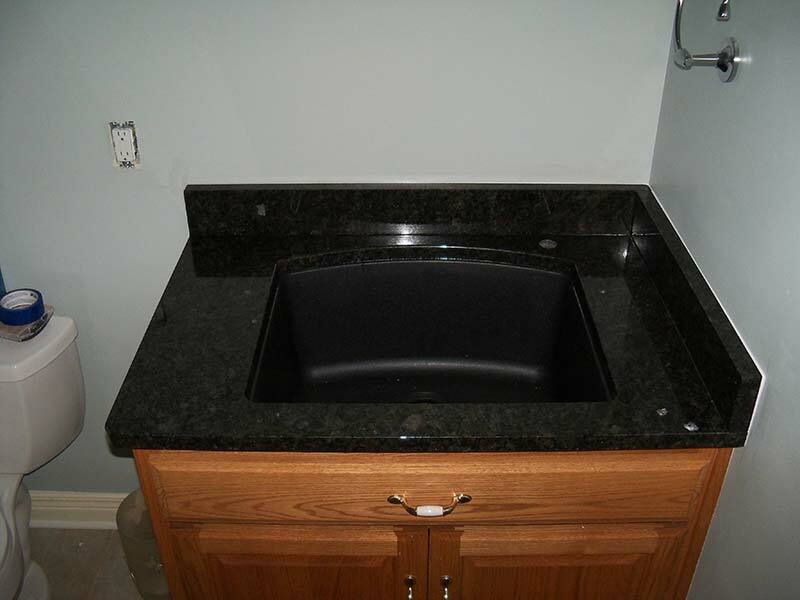 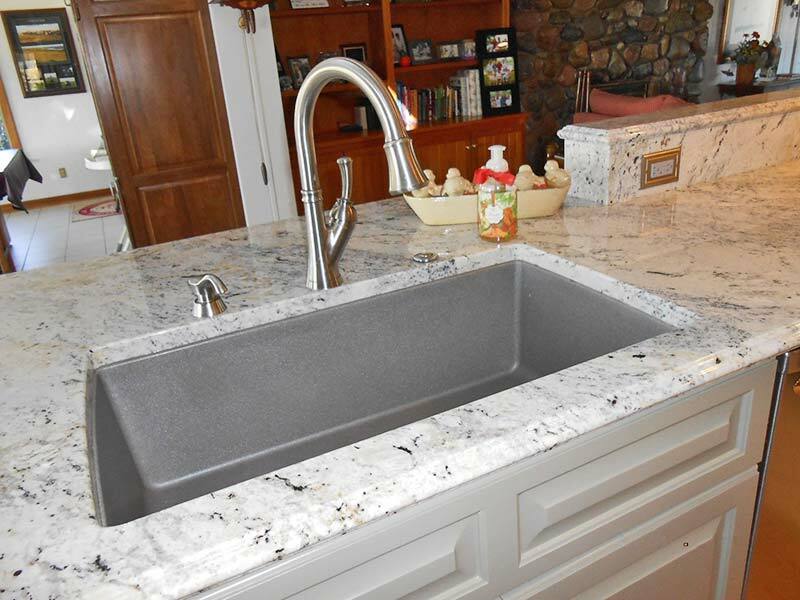 Caledonia Granite counter and stainless steel bar sink. 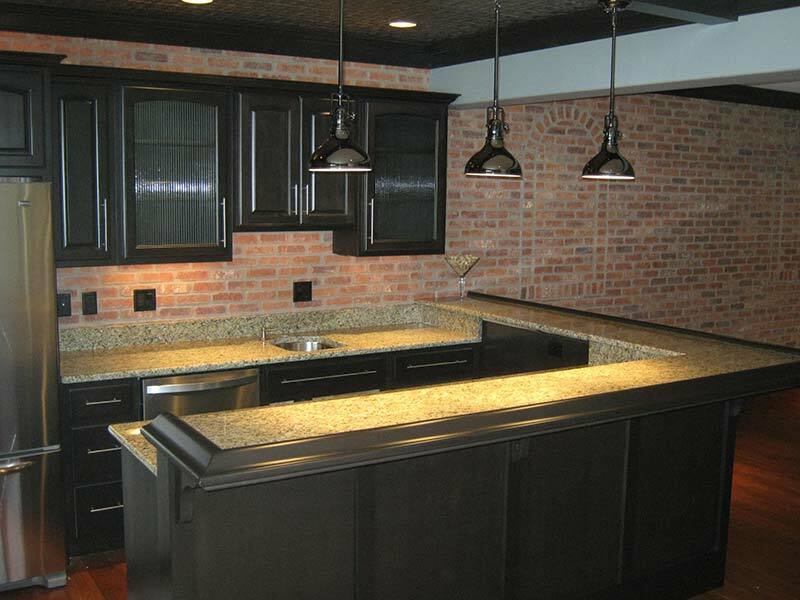 Black Coffee Granite was used in this outdoor kitchen and bbq. 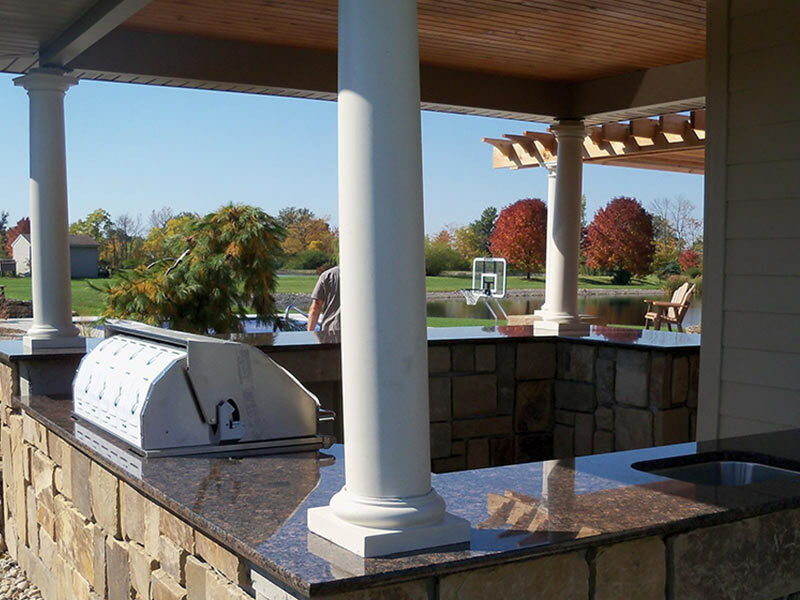 Imperial Coffee Granite sets off this outdoor kitchen. 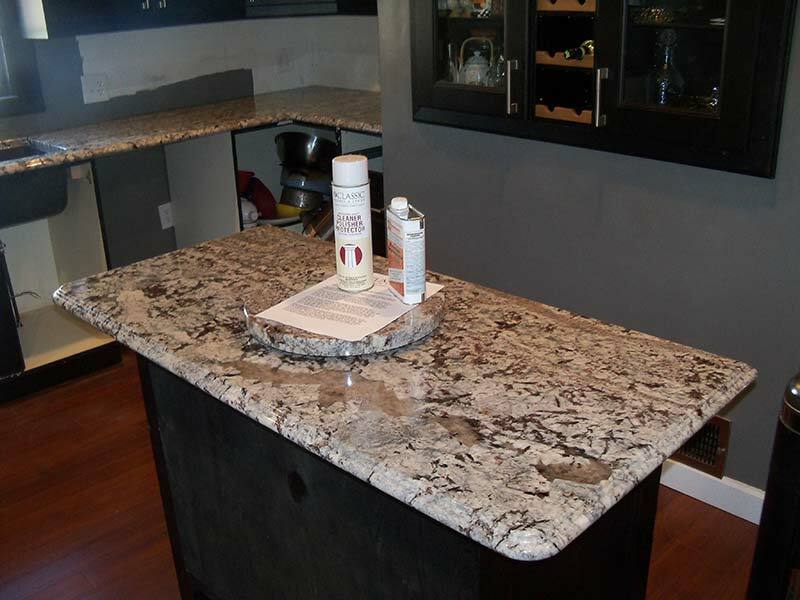 Juperana River was used as the top for this simple yet elegant outdoor table. 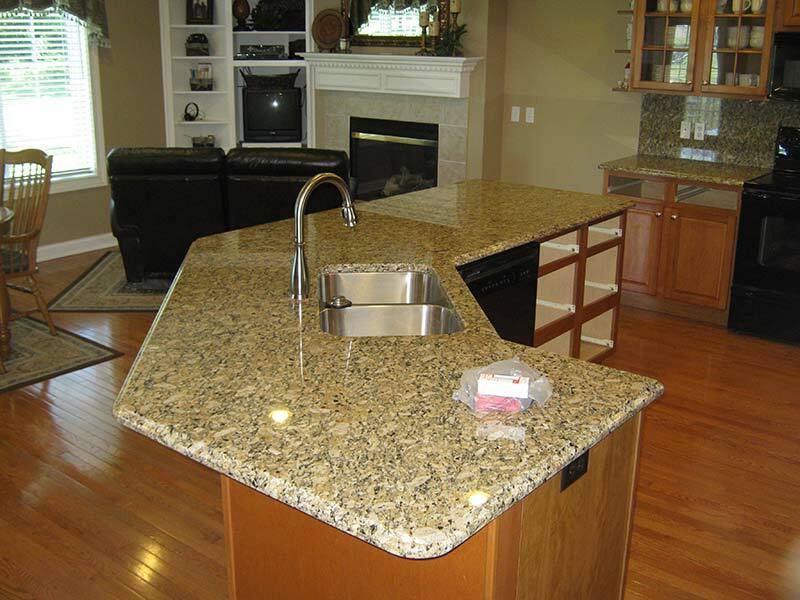 This roomy outdoor kitchen has a bit of a rustic touch with the Leathered Coral Gold Granite. 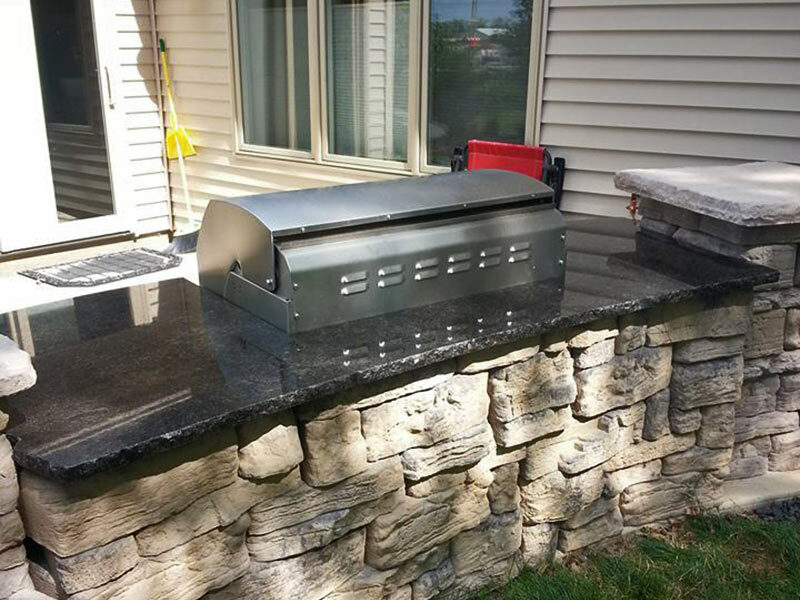 Juperant River Granite sets off this bbq and outdoor kitchen nicely. 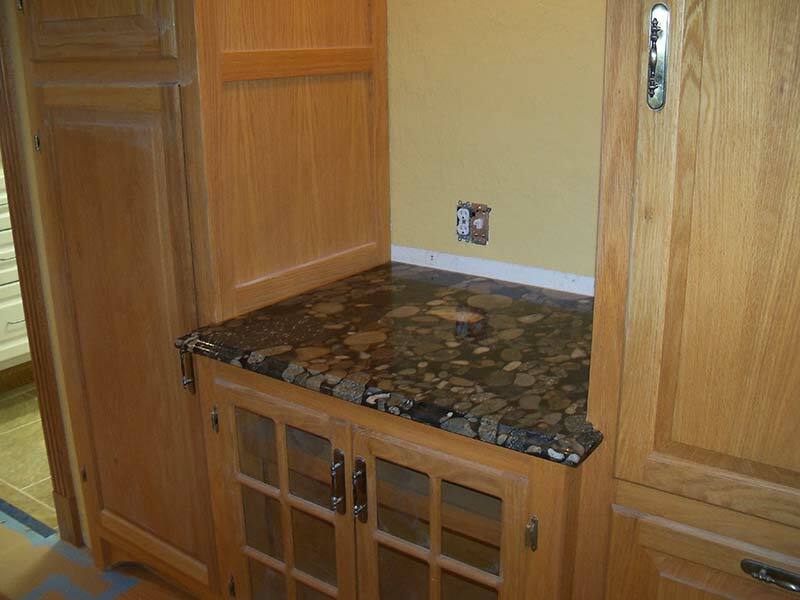 This three stone floor inlay makes a statement in the foyer. 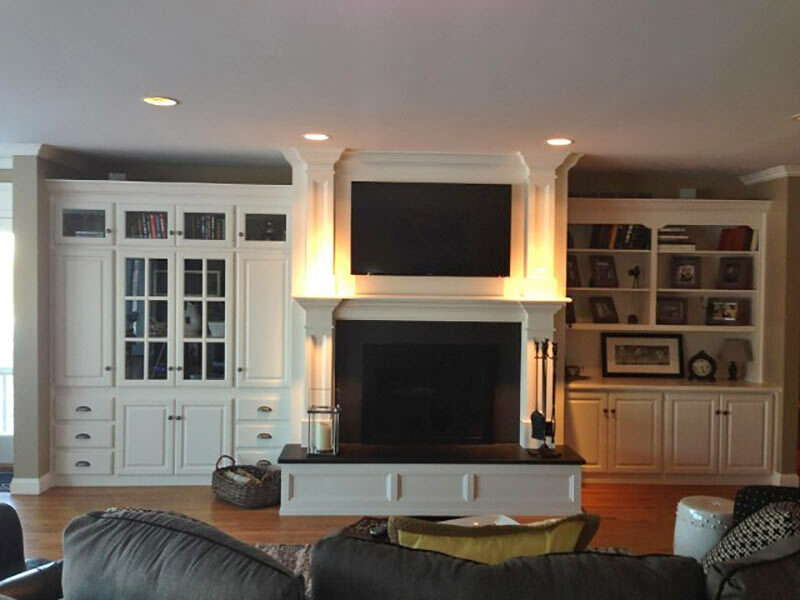 White Thunder Granite fireplace surround and hearth accented with white mantle and inset. 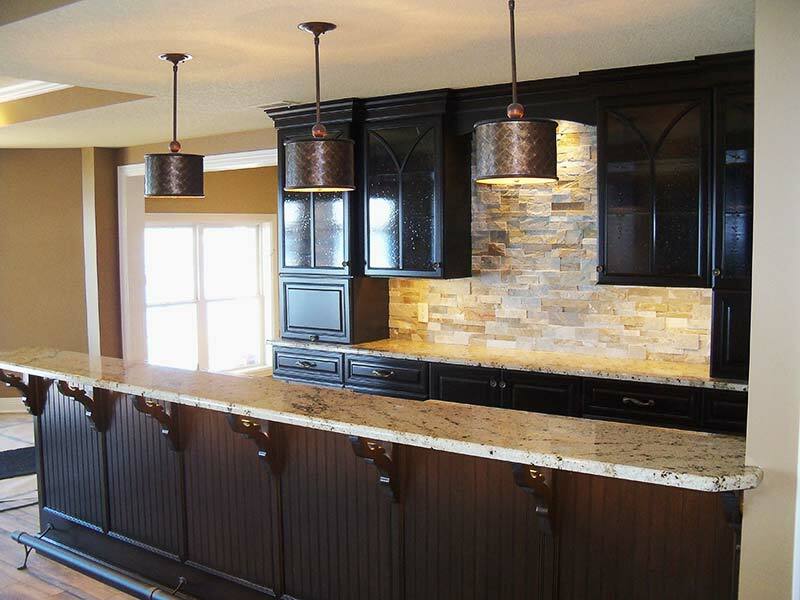 Black Absolute, or Absolute Black, Granite fireplace surround and mantle. 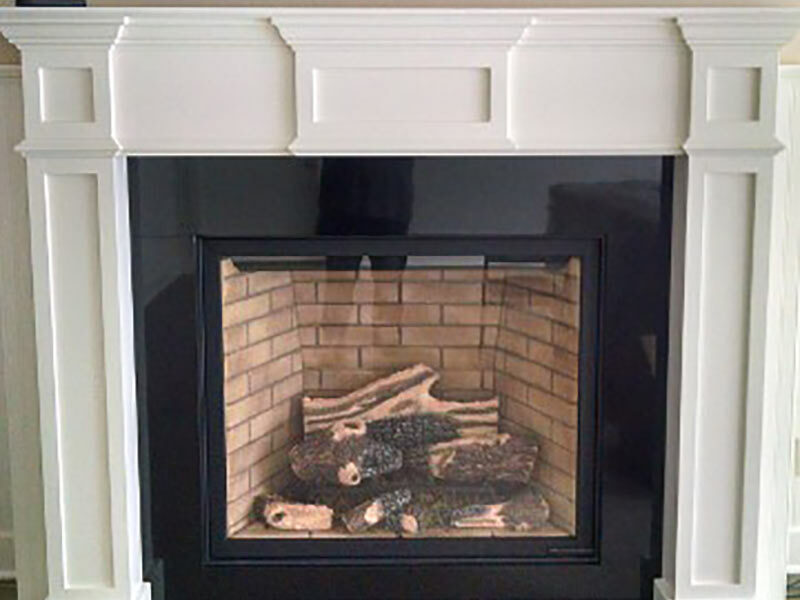 Honed Black Pearl Granite fireplace surround and hearth.